One of the first KD 11 colorways to arrive at retailers was the Bay Area-friendly “Paranoid” version that combined blue and yellow – with other colors woven into its upper – to create a decidedly Warriors aesthetic. Having won two rings and consecutive NBA Finals MVP trophies, Durant’s NBA legacy is continuing to grow alongside his budding signature line of footwear with the Swoosh Brand. Serving as a symbol of the paranoia that fueled KD’s rise to greatness, it will now be a reminder of what he has achieved. This offseason, the former league MVP extended his contract with the Warriors for two more years, meaning there should be plenty more KD sneakers in similar colorways on the horizon. 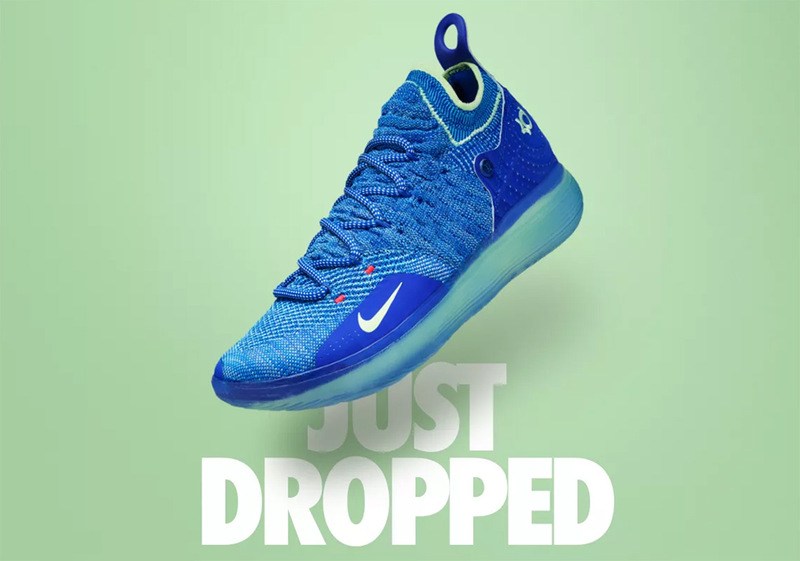 Pairs of the KD 11 “Paranoid” are currently available at select retailers – having just dropped on Nike SNKRS – with more shops slated to receive stock in the coming weeks. Peep our where to buy list below and be sure to refer back to this post as the list will continue to be updated.